By Ryan Whitwam on May 5, 2013 at 11:50 p.m.
Podcasting, lots of punching, and a journey in the dark. The Play Store is gaining new apps at an astounding rate -- so fast that you could never hope to keep up with all the notable apps. But don't fret. We're skimming the best new and newly updated stuff off the top and dropping it here in the weekly Google Play App Roundup. Just click on the app name to head right to the Play Store. This week there's a new podcast app worth your time, a game with lots of punching, and an eerie adventure game. 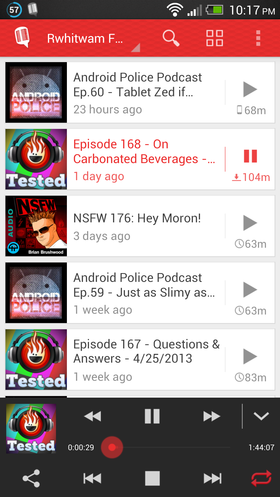 It has been a long time since I saw a new podcast app that I liked, but Player FM has some real potential. This app has you sign in to Google+ when you start it up, and then asks you what sort of stuff you’re into. From there, it aggregates a ton of podcasts you might want to listen to, and yes, This is Only a Test is on the suggested list. The Player FM UI is definitely Android-y, but it’s not just Holo. 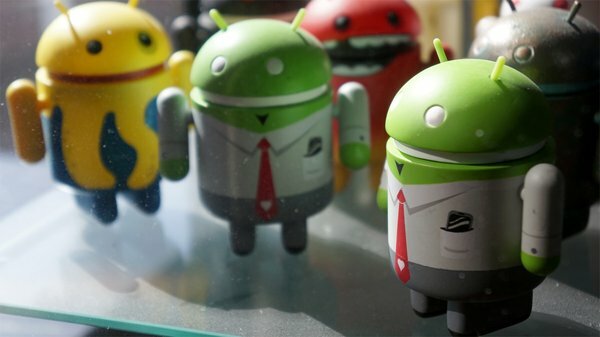 Player FM is throwing its virtual hat into the ring with the cards UI from Google Now and a few other Google apps. Everyone sees Mountain View going in this direction, so it’s natural for third-party developers to follow suit. The app is split up into swipable panels, one for each area of interest. You can peruse and listen to any of them you like by streaming, or add your favorites to your main queue. The queue is also a tab in the app, but these podcasts there will be downloaded to your device automatically, rather than streamed from the cloud. Player FM has a number of settings to control how episodes are displayed and downloaded, but it’s not as comprehensive as something like Doggcatcher. Player FM is best suited to a user that listens to a handful of podcasts regularly, and might poke around in other feeds on occasion. If you religiously listen to 20 podcasts, this might not be the app for you. When you have an episode playing, there will be a persistent playback area at the bottom of the screen. A notification shade entry also has playback controls in it. My only concern with the interface is the slight lag I see when swiping from one tab to the next. This seems like it would be an easy fix, so hopefully the developer is on it. Right from the start, I found the experience of using Player FM enjoyable. Searching for new podcasts was a breeze, but many of my prefered listings were presented in the suggestions. I’m actually rather surprised this app is free. I wouldn’t have batted an eye if it had been listed at $1-2. Check this one out if you want a casual podcast app. This game is going to look like an infinite runner when you first start playing, but that’s not really a fair description. What we have here is an infinite puncher. There’s no story, just you and your two fists of fury. This is a side scroller, and your character runs along at the same speed the whole time. 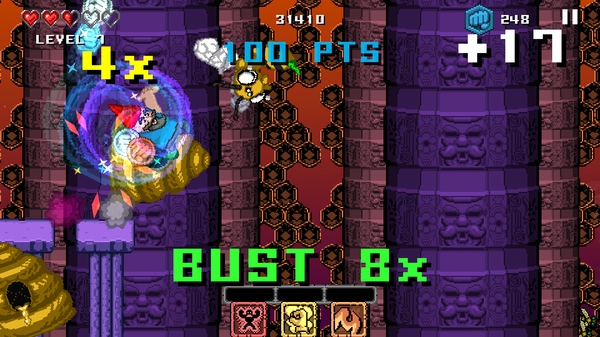 You’ve only got two buttons to manage, and that makes Punch Quest simple to get into. On the left is your uppercut button, and on the right is dash punch. Jumping is accomplished with the uppercut button, which I was a little confused by at first. When you’re in the air, you can also hit the dash punch, or uppercut again (which does a slam attack). The first few runs will only last a couple of minutes before you run out of life, but each one gets you a few units of in-game currency called punches. There are also various achievements to complete, which net you more punches. If you’ve ever played Ski Safari, this is basically the same deal. You can spend punches on all kinds of powerups and improvements to your character, and they make the game much more interesting. You go from a guy punching a few zombies before getting zapped by a wizard, to an unstoppable magical punching machine. This title is over-the-top by design, and it’s simply a blast to play once you get into it. 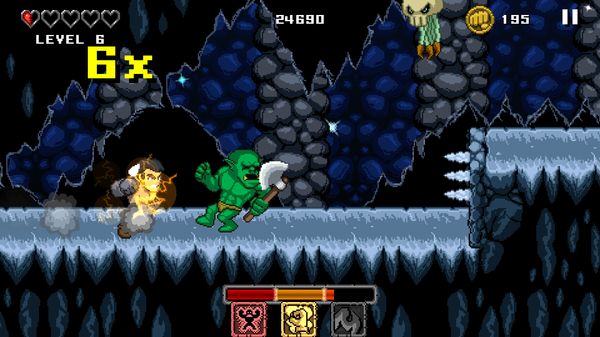 The dungeons are randomly generated each time you play. I like that you don’t have to play for a long time to get to the really interesting stuff -- the game starts throwing cool enemies and item drops at you pretty quickly. There are frequent splits in the path, either up or down. Arrows pointing to the diverging routes will give you a clue to what lay ahead. Maybe treasure? Some more difficult enemies? A giant egg that turns you into a super-gnome? You’ll have to find out. And yes, that last one is actually a thing that happens in the game. Punch Quest has a vaguely retro feel, which I’m not usually into. In this case I can make an exception because there is so much going on. Things are exploding and flying around the screen and your character always seems to be glowing or catching fire. The environments are not terribly detailed, but there is more variation that I expected. One thing's for sure -- Punch Quest is not bland..
Punch Quest costs $0.99 in Google Play, but there are in-app purchases as well. You don’t have to buy anything, and again just like Ski Safari, I feel like you earn more than enough cash from playing the game. You’ll be able to unlock a fair number of skills after about 30 minutes of play, and that’s when things really take off. This game is awesome, and you should buy it. Seriously. This title takes a markedly different track than other mobile games. Emily in Darkness starts off mysterious and disturbing, and it only gets darker. The opening cutscene sees young Emily gunned down with no explanation, but rather than die, she finds herself in the eternal void. Could it be just another kind of death? You’ll have to find out by exploring the shadows and fighting off bizarre creatures in the dark. 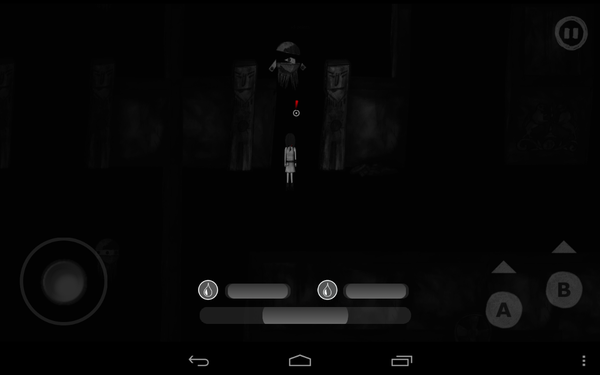 Emily in Darkness is a top down casual RPG that is lighter on the RPG elements than many games. You maneuver around with the thumbstick off to the left. 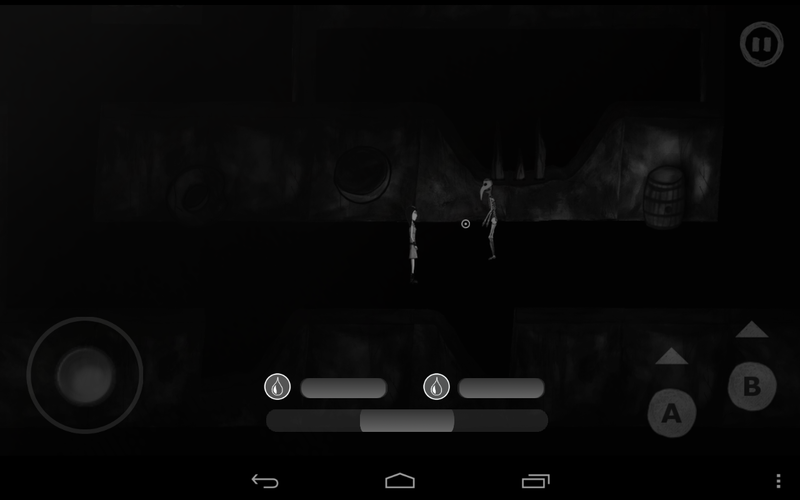 Two action buttons on the right can be assigned abilities independently. 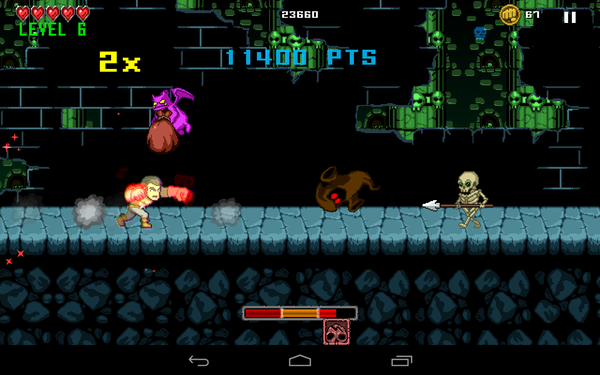 At the bottom of the screen is your life meter, as well as your supply of energy for attacks. As you sweep your character around, a faint, ghostly light pierces the darkness directly in front of you. Everything else is faint and shadowy. The thumbstick is a bit sluggish, and aiming can be awkward as you simply fire straight out in front of you. If you’re being overwhelmed, you’re going to have issues. Although, there aren’t a ton of enemies, so you have time to set up the necessary angles. The developers don’t miss any opportunity to creep you out. For instance, your main weapon is not just some random magic projectile -- nope, it’s your own blood. Yes, this little dead girl shoots blood at monsters in a dark, disturbing netherrealm after being killed. Not a feel-good game, but strangely compelling. You’ll also come across various NPCs along the way with words of advice, or more often, vague warnings about the eternal void. You must navigate around the corridors and eerie tunnels of the endless void, searching out keys to progress further. You will slowly accumulate powers and learn more about the world. I found myself entranced by the empty strangeness of the place, and by the demeanor of its inhabitants. The developers did a magnificent job making this game come alive. Well, maybe that’s not the right word. 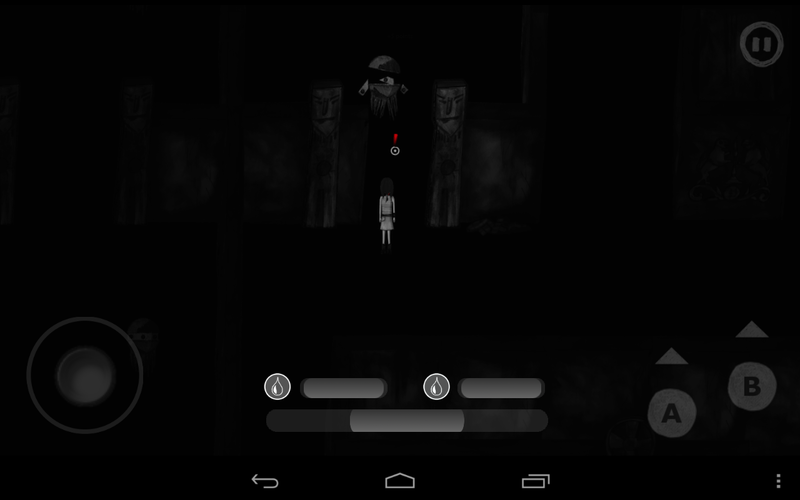 The graphics in Emily in Darkness have a distinct look. It’s like paper floating in the dark. Subtle animations and gentle lighting effects seal the deal for me -- this game looks every bit as creepy as it plays. Because there is no much black, AMOLED devices will really benefit, but playing Emily in Darkness in a bright room can be tricky due to reflections. This game is $2 in Google Play, and I think you ought to consider buying. It’s not that this title has the best gameplay, but rather it’s compelling because of the atmosphere. I want to dive into the deep, dark shadows of Emily in Darkness and find the answers..